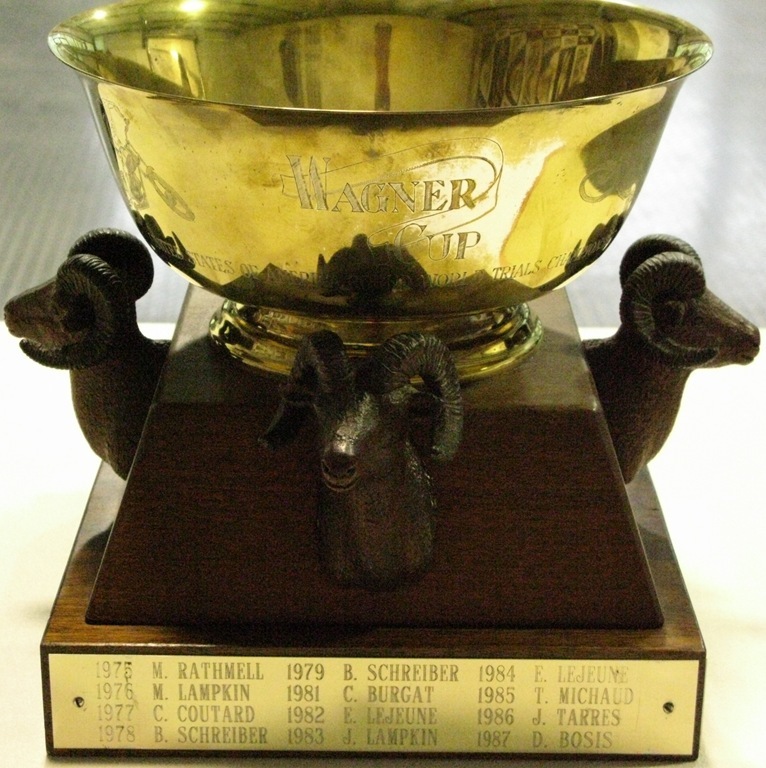 I blogged about the origins of the Wagner Cup yesterday but failed to mention that the winner is determined by the lowest score over the combined two days of competition. 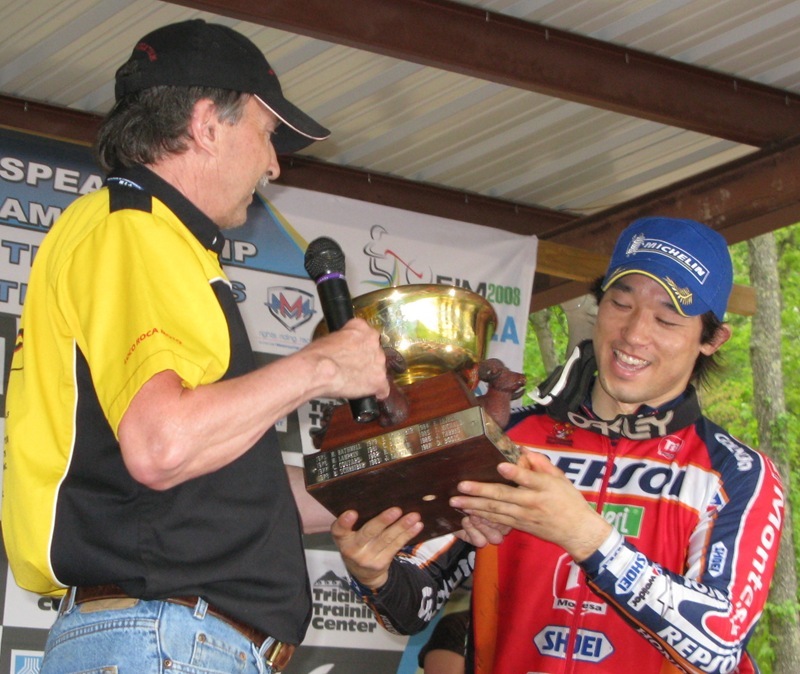 NATC head honcho Brian Behling presents Takahisa ‘Fujigas’ Fujinami with the 2008 Wagner Cup. 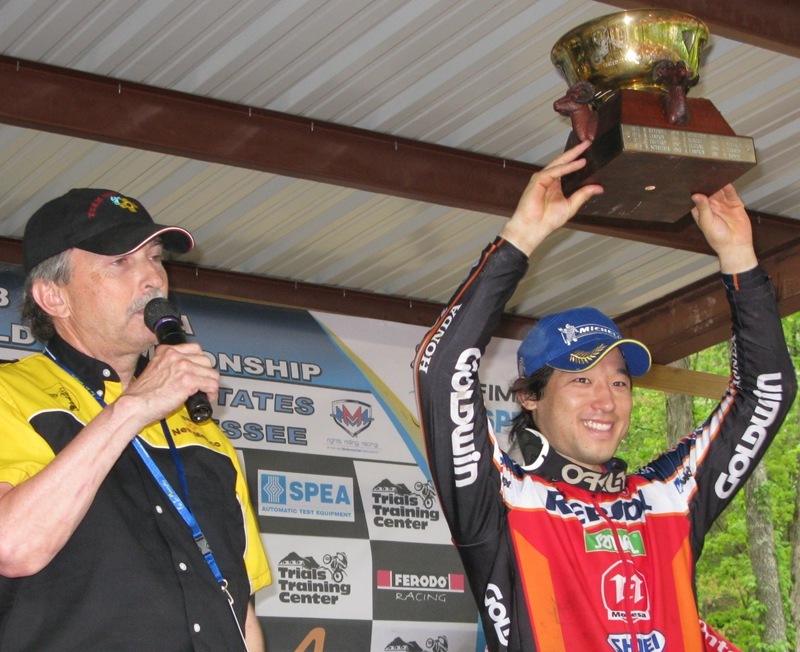 He edged his Repsol Montesa HRC teammate Toni Bou by two points, 47 to 49.